The United Nations criticized Sri Lanka on Friday for slow progress in addressing war crimes and past human rights abuses and said the international community was running out of patience. The U.N. and rights activists have accused the Sri Lankan military of killing thousands of civilians, mostly Tamils, in the last weeks of the civil war with Tamil separatists that ended in 2009 and have demanded reforms and redress. 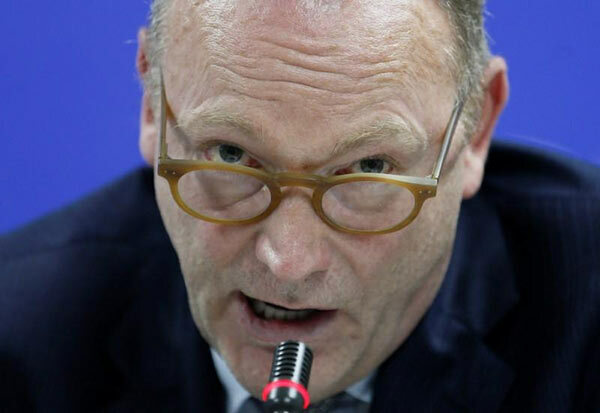 “There is little evidence that perpetrators of war crimes committed by members of the Sri Lankan armed forces are being brought to justice,” Ben Emmerson, the U.N. Special Rapporteur on Human Rights and Counter-Terrorism, told reporters after concluding a four-day visit to Sri Lanka. With progress having ground “to a virtual halt”, Emmerson said Sri Lanka could face a range of measures, including a referral to the U.N. Security Council, if it fails to meet commitments it made under a 2015 U.N. resolution. The United Nations gave Colombo a two-year extension in March to meet the commitments, which include establishing a judicial process involving foreign judges and prosecutors to investigate the alleged war crimes. Colombo has previously promised an impartial investigation into human rights violations but President Maithripala Sirisena has since said he would not allow foreign judges take part in the investigation. While Emmerson was in Sri Lanka, police arrested a top naval officer on suspicion of being involved in the abduction of 11 youths, mostly Tamils, in 2008/2009 who have never been found. Emmerson also said he had come across prisoners who had been detained without trial for more than 12-years. He criticized what he said was the “systemic use of torture” in Sri Lanka, saying it was “among the worst in the world”, and blamed the situation mainly on Colombo’s failure to repeal its Prevention of Terrorism Act (PTA) despite promises to do so. The Sri Lankan government said it needed more time to tackle the abuses cited by Emmerson. “He can’t dictate like this, we can’t make laws immediately. They have to go through parliament … There is a process. He must understand what democracy is,” Justice Minister Wijedasa Rajapaksa told Reuters. The Tamil separatists have also been accused of committing widespread abuses during the 26-year war, including using child soldiers and targeting civilians with suicide bombers. Kick this basted out of the country. Who is this to investigate our affairs. The screw is turnig in the opposite direction. It is time to bring the Sinhala Buddhist hero and warlord back to the seat of power so that we, as a proud Sinhala Buddhist nation, can resume showing to the world what we are made of. GR, the President, MR, the PM and NR, Finance and Development, Bogollagama, FM and DJ, UN Rep. If we can get this line up in place, we will be launching nuclear weapons within a decade !! Get stuffed Ben Emmerson. If the puppet government you installed in SL still could not do anything, one reason may be they cannot find much and because evidence do not exist. You have access to anywhere in SL now. Why not get into a comfortable 4X4, go and find some solid evidence of mass killing on the ground other than words of those terror rump residing in your countries? My friend pl refrain from using provoking racist words. What about Tamils with kidnapped their own children, brain washed and sent to the war front with a cyanide capsule in their necks? What about massacre of thousands civilians? What do you call them? National heroes?